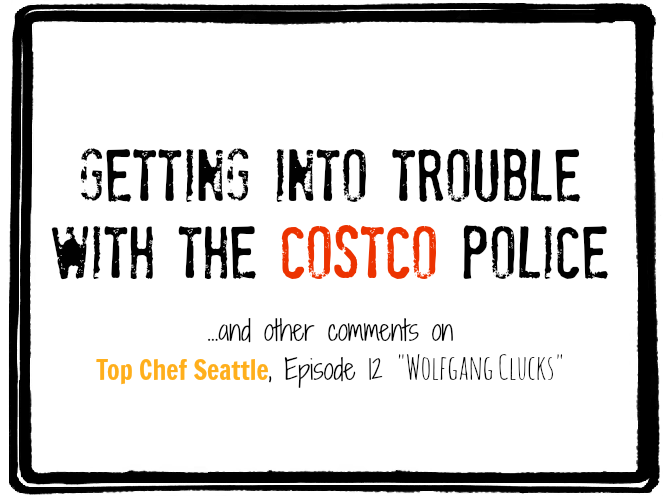 Anyway, I just had to make some observations on last night’s show, “Wolfgang Clucks”. That title is thanks to the ever-so-witty, Tom Colicchio. You can tell ol’ Tommy thinks he’s the real deal. I mean, he thinks he’s one funny, rich, successful, awesome chef or something.